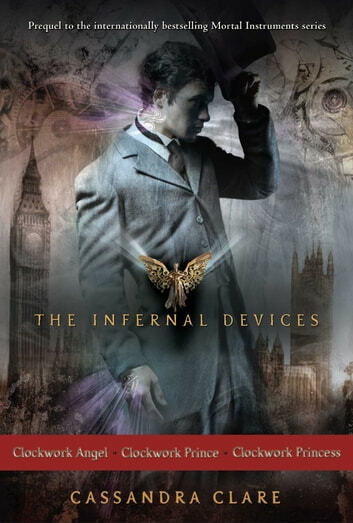 Step back in time with the Shadowhunters with this eBook collection of the New York Times bestselling Infernal Devices trilogy. Passion. Power. Secrets. Enchantment. The Shadowhunters of the Victorian Age delve into all of these—in addition to darkness and danger—in the Infernal Devices trilogy, packaged in an eBook collection that includes Clockwork Angel, Clockwork Prince, and Clockwork Princess. This story and these books will forever be my favourites, for the characters touch me every time i read the books. True love is eternal. Wish the series was a few books longer. Another amazing read. Terrific trip back in time! I loved the setting of these books. It was fascinating to read a book set in this time period. The characters were well developed and we'll thought out. Highly recommend.